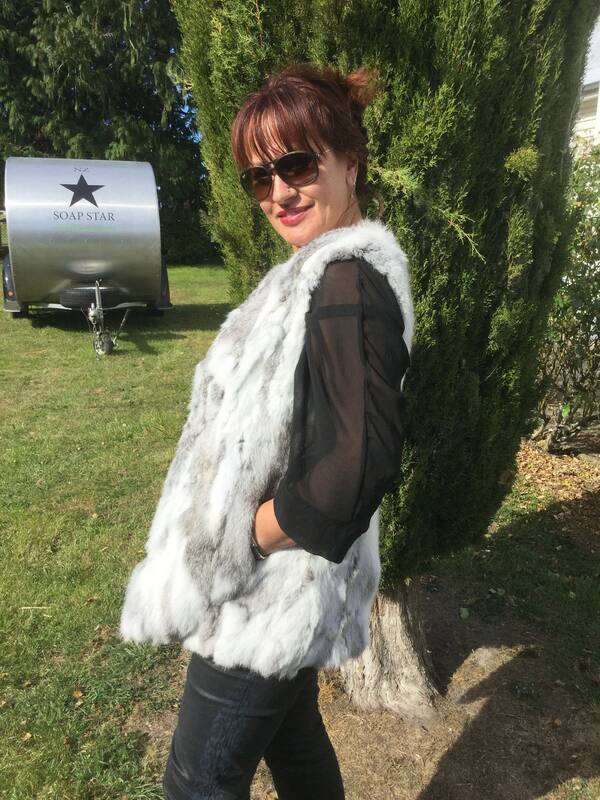 Rabbit Fur Vest WITHOUT Hood, Real Fur Vest, Fur Jacket. My other listing for this same design WITH a hood has been so popular but I do get requests for it without a hood, so here it is for you all. 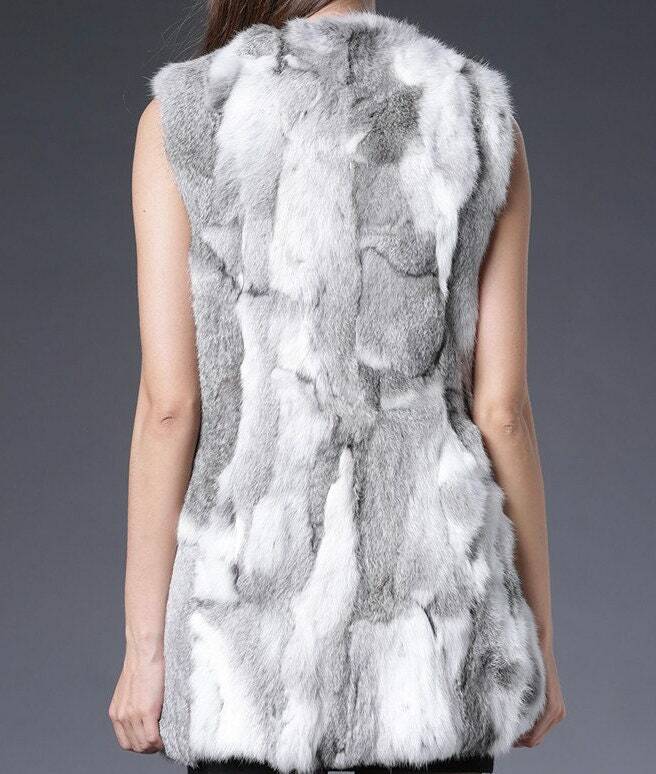 Lovely little rabbit fur jacket WITHOUT hood. REAL fur - of course. Fully lined with pockets on both sides. This has hooks so you can do it up or wear it open. Well made will last a long time. 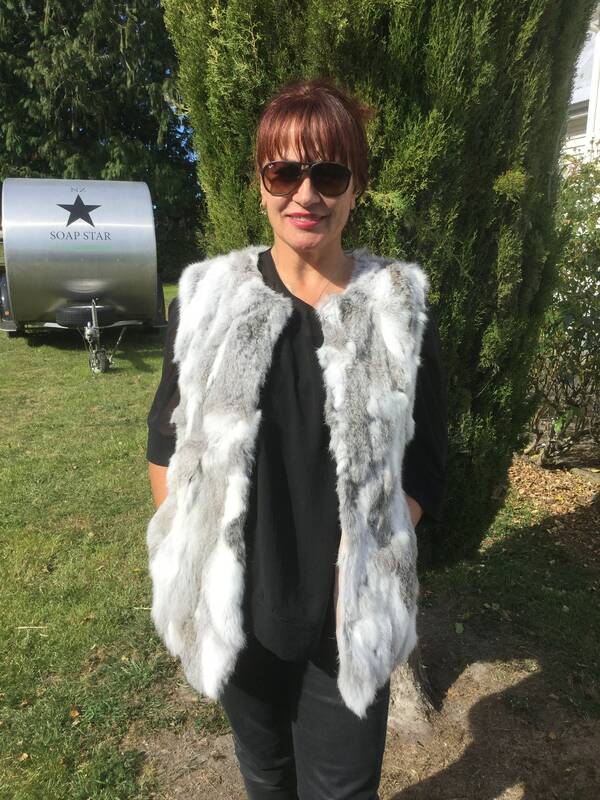 I can also CUSTOM this fur jacket if you need a larger size. PLEASE MESSAGE ME YOUR CHEST MEASUREMENT AND YOUR HEIGHT.